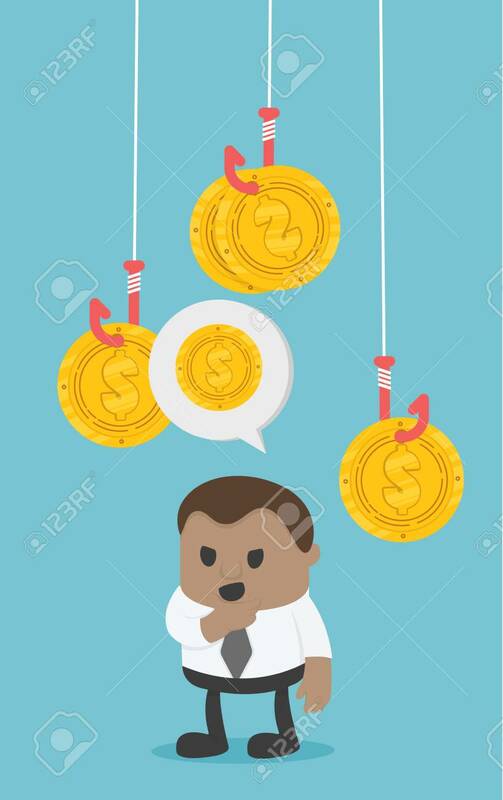 African Businessman Try To Pick Money From Hook Trap. Money As Trap Business Concept Clip Art Libres De Droits , Vecteurs Et Illustration. Image 112198455.